A strong odour of sulfur has been gathering at Solheimajokull, in Iceland but there is no clear answer regarding a possible cause for the stench, as scientists have not detected any signs of increasing volcanic activity in the area. RuV reports that the smell of sulfur is very powerful around Solheimajokull, a glacier offshoot and popular tourist spot in Iceland. The reason for the buildup of the odor has been attributed to a lower pressure system in the area and a lack of wind, but what is creating the smell in the first place is still a mystery. The Icelandic Met Office issued a statement emphasizing that there have been no significant seismic readings in the area, nor has the chemical composition of the water running off from it or the gas in the area indicated increased levels of sulfides or sulfates. The area is also not considered dangerous to visit. One of the hidden dangers of volcanic activity is sulfur dioxide, which can cause irritation to the eyes and respiratory system. 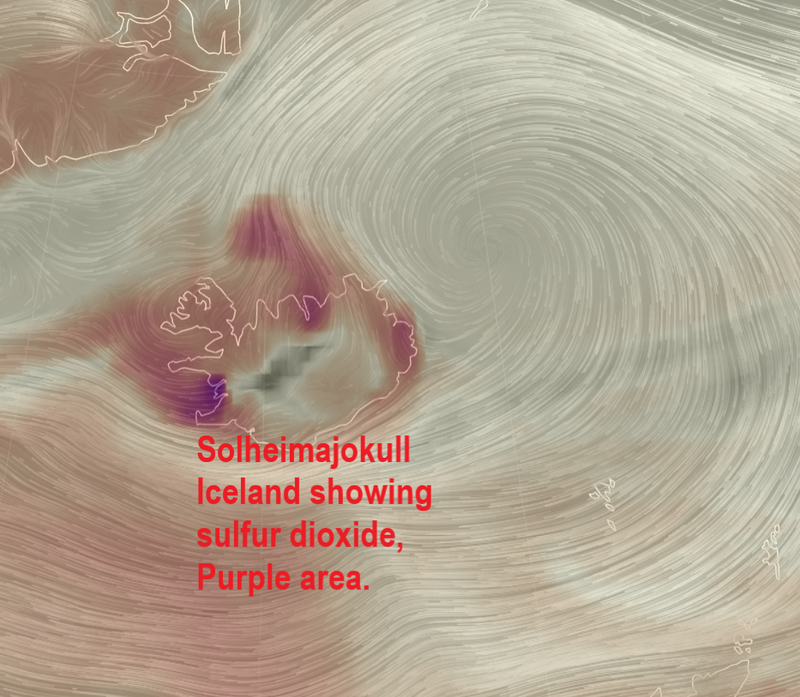 While dangerous or even deadly in very high concentrations, typically it only poses a serious threat to the elderly, children, and those with pre-existing respiratory conditions and the current sulfur levels around Solheimajokull have not caused any reported difficulties for visitors.